Firstly, I must say that there’s no magic formula for sales improvement. It depends on the specifics of each client’s business. Some clients need a complete sales turnaround and revitalisation. Others may be seeking to open new channels or markets or simply have a capacity issue. 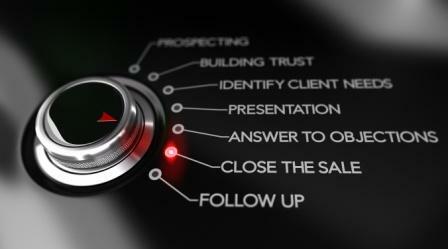 In all cases, an efficient, reliable sales improvement solution is readily available from Coyne Sales and Marketing. An independent, external sales audit of all customer touch-points will quickly identify gaps in your team’s ability to deliver plans. In addition, reports will illuminate genuine competitive differences and confirm the primary targets for team members. This will involve structured discussions with you, your sales team and your customers. In addition, the sales audit will help you to determine which are your most profitable customer targets. Also, whether you have the optimal balance of people, processes, pricing and promotion in the market. Why should people do business with you? That’s the key question here, that we will work on together to get a clear, unequivocal response to. Once you have created your value proposition, you need to be consistent and clear in how you communicate it to colleagues and customers. Sales improvement will follow clarity of proposition. Most of all, it’s important that you express your brand values in terms that add value to your customers. At this point, too we will consider the route to market. Will you sell direct to consumers/end-users, will you sell to retailers or through distribution channels? Whatever route(s) to market are chosen, the value proposition must make sense to, if sales improvement is to result. With strong experience in the setting of realistic objectives and KPIs, I will strengthen your sales team. I will focus on setting performance and activity level expectations. Also, I coach and guide managers/directors on a one-to-one basis, to improve overall team delivery and sales improvement. Sometimes it makes more sense for me to deliver this aspect of the service on a full-time, interim basis or part time one. For example, if you are waiting for a new Sales Director to join the business, or if a transition is sought while you search for a new recruit. Coyne Sales and Marketing devise and agree bespoke training plans that focus on the needs of your business. I address knowledge and experience gaps on an individual or group basis, in a classroom setting or on-the-job. Specific programmes for inside sales and customer success/service staff are available, as well as for business development ‘hunters’. Whatever is required, I try as far as possible to observe or listen to real sales calls. I like to attend sales appointments before constructing appropriate learning and development materials. It’s only by directly observing what is and isn’t happening, that remedial action can be taken as a whole. It could be listening skills, presentation skills, negotiation, closing, … They all impact on your ability to deliver sales improvement. Pipeline management is another aspect of learning and development that is required frequently. Forecast accuracy is a common area of concern I can help with. The fifth stage to consider, although not always in this sequence, is that of sales process management. Often, it seems, sales procedures have ‘evolved’ over the years and if you require sales improvement now, you need to update these procedures. Most importantly, an external perspective brings a neutrality to what can be for some staff a difficult process of change. It can be that the introduction of labour-saving technology, frees up customer-facing time for sales improvement. A good example of this is CRM. Sales teams do not always view customer relationship management solutions positively. The temptation for management to over-analyse data can sometimes outweigh the benefits of the system. Used correctly, they can reduce administration time for sales teams, while providing better forecasts and controls for managers. However, balance does need to be struck and common understandings formed of the working methods required. Finally, the 6th route for sales improvement I adopt through Coyne Sales and Marketing is that of opening new business channels or markets. Established companies often find new markets and distribution channels a challenge. The skills and experience required can sometimes detract from core business. You may find that you have no more staff capacity to be able to expand right now. Call me in; a skilled, external resource that will open new opportunities without disrupting your day-to-day business. I research, analyse and open new markets in multiple sectors, within the UK and overseas. As a result, I deliver rapid results and strong return on investment. Lastly, before leaving, I make sure that there is complete knowledge transfer to your team, so they can carry on where I leave off. Ask for details, or check out the whole website for more information. These are the 6 routes to sales improvement that I provide as a whole programme or separate, bite-sized ones. I recognise that all clients are different; consequently I’m happy to discuss specific needs on a confidential, no-obligation basis to be able to provide a detailed proposal document. A customer experience, sales and marketing consultant with broad experience of multiple markets and board-level job functions. His mission is to help clients to profit from delivering better customer experiences. He impacts on business performance in terms of sales improvement, marketing outsourcing and telemarketing/customer service transformations. Typically this is achieved through audits, consultancy, training and programme delivery. Sales and Marketing Health Checks are Free for Micro-Businesses! Why is a Marketing Health Check Vital for All Businesses? 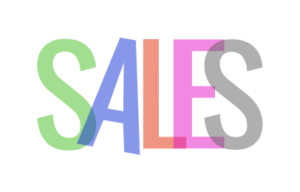 Can a Sales Health Check Help Your Business to Sell More? Conversational Selling: Why is it Essential for Small Businesses? © Coyne Sales and Marketing Ltd. 2016-18. Copyright © Chris Coyne 2016-18. Designed by MageeWP Themes.